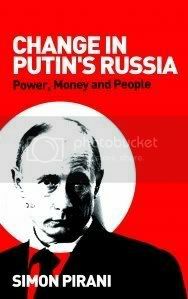 A new book now on sale – Change in Putin’s Russia: Power, Money and People (published in November by Pluto Press) by Simon Pirani (this blog’s author) – covers themes I’ve mentioned here. … or place it on order at any decent bookshop. A BOOK LAUNCH on Thursday 3 December, at the Calthorpe Arms, 252 Grays Inn Road, London, was packed with friends and colleagues and was great fun. I gave a talk about the book, followed by discussion, at Housmans Bookshop in Kings Cross on Wednesday 2 December: that was a good evening too. I’ve accepted invites from universities, activists’ groups and elsewhere to talk about these themes. Email me at smpirani@hotmail.com if you’d like to arrange something.